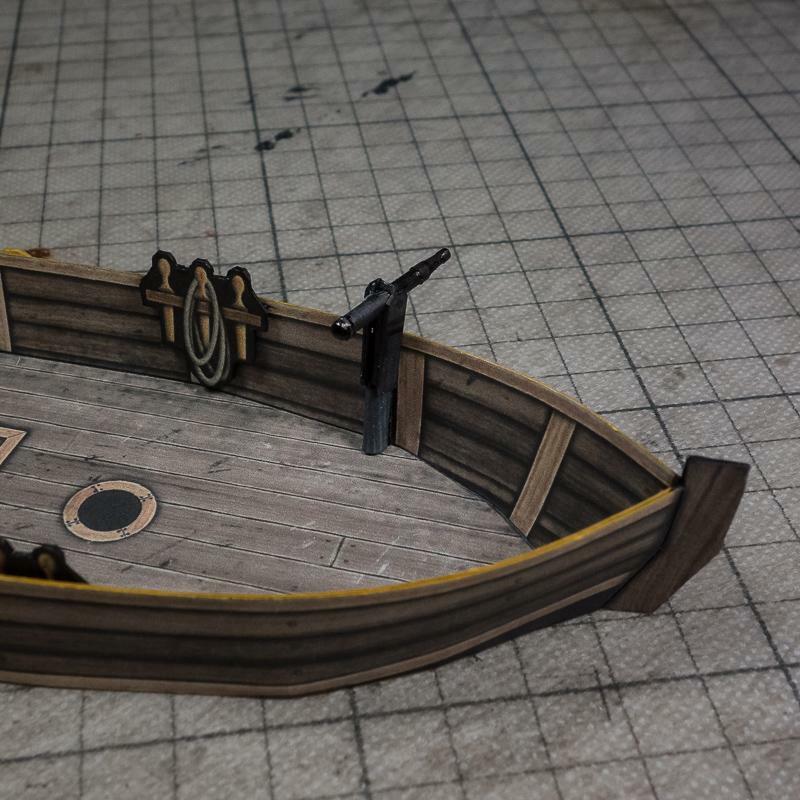 Here is a little step-by-step tutorial on how I scratch built the swivel guns for the pirate gunboat. 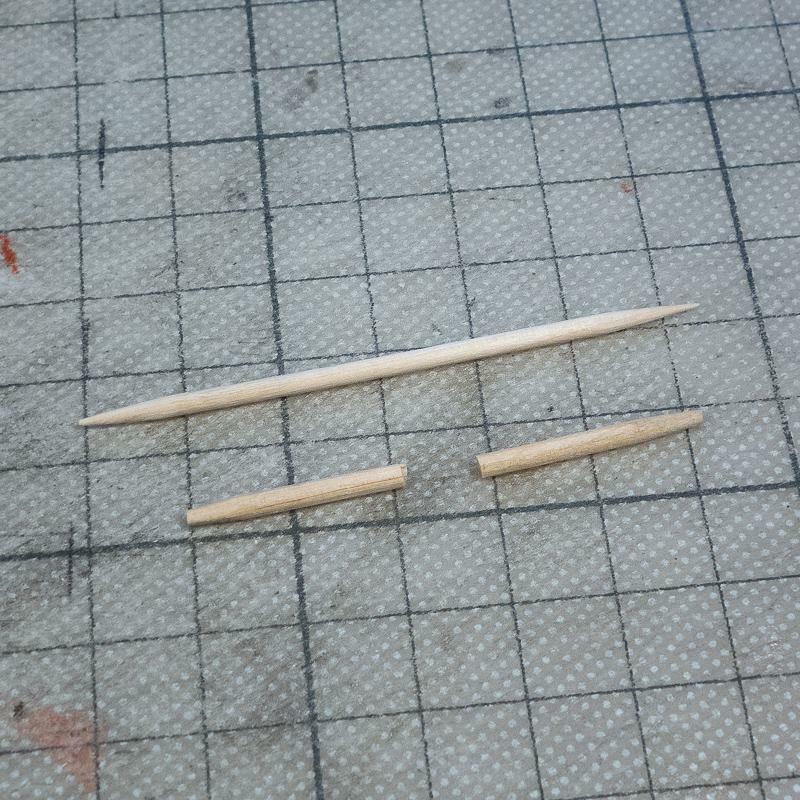 I start with cutting a toothpick to size. 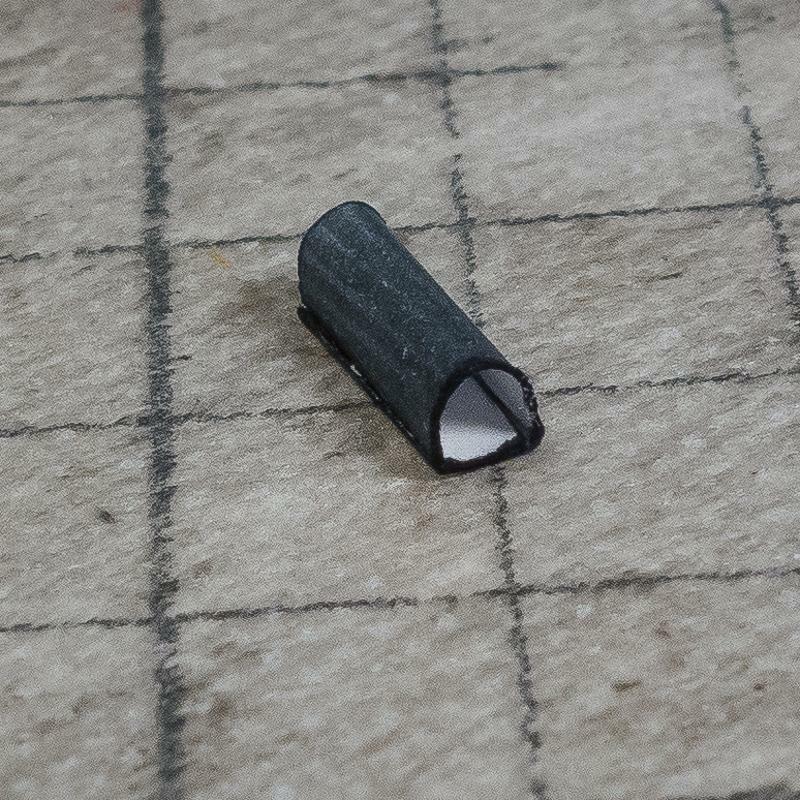 I cut off a little of the pointy side utilizing the tapering to emulate the shooting end of the gun. 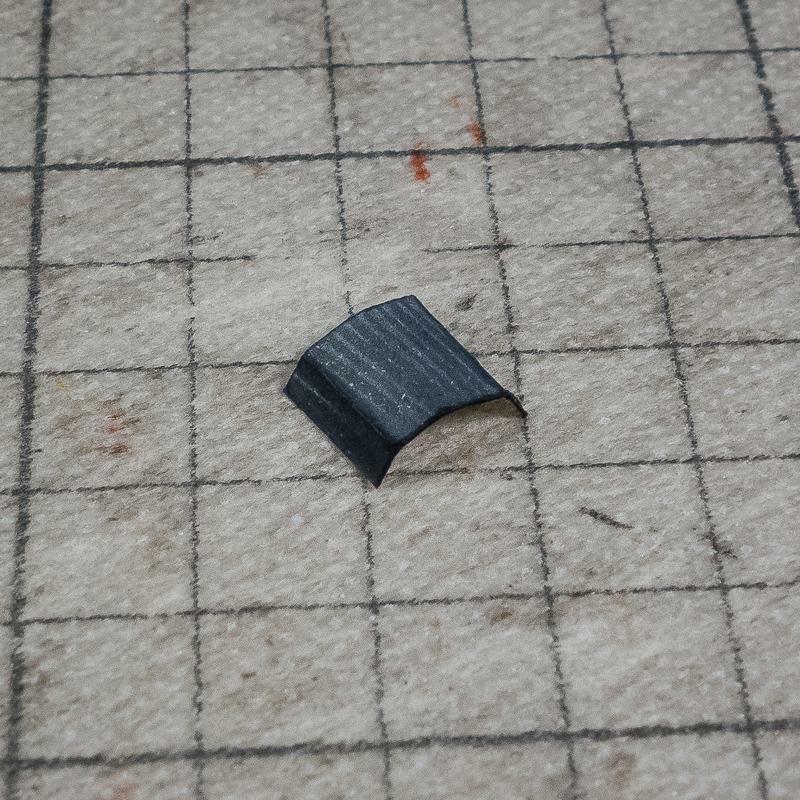 I then cut a 10mm strip of thin (office) paper. This I wrap around the other end of the gun to make it a little thicker. 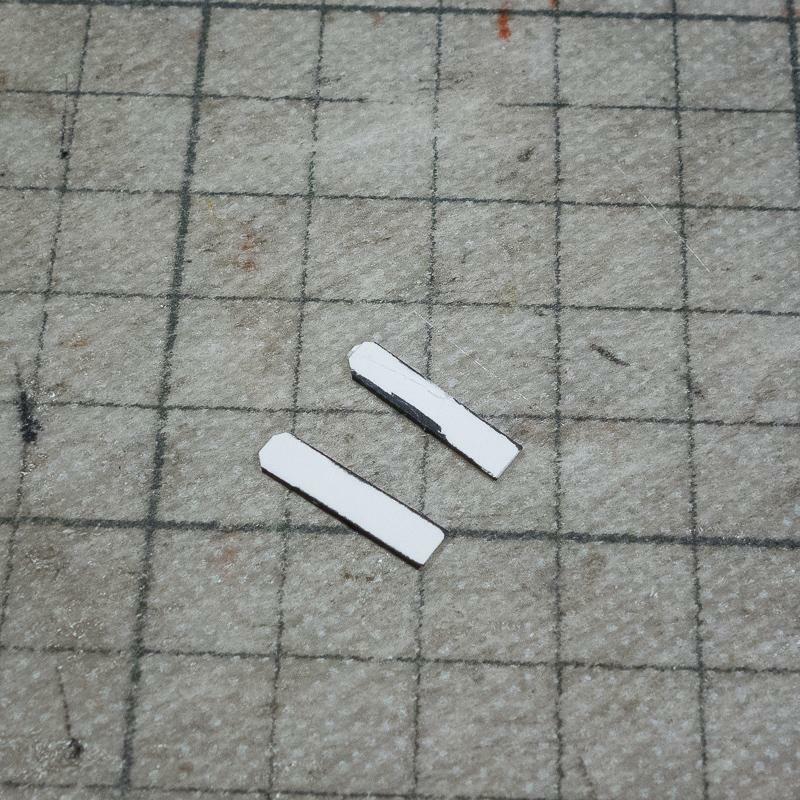 Next I cut a thin strip (1-2mm) of paper and glue a couple of short bits as shown. These will go round the barrel. I carefully glue them around the gun like this. 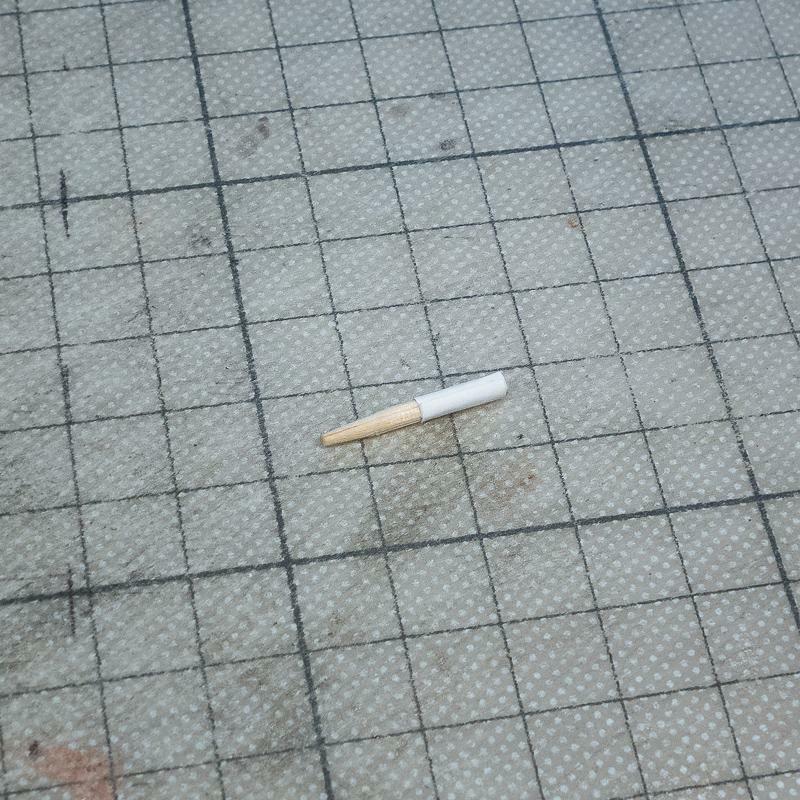 To emulate the round back of the gun I put a drop of white glue on some leftover paper and then dab the (thicker) end of the gun into the glue. This will create a round drop of glue. 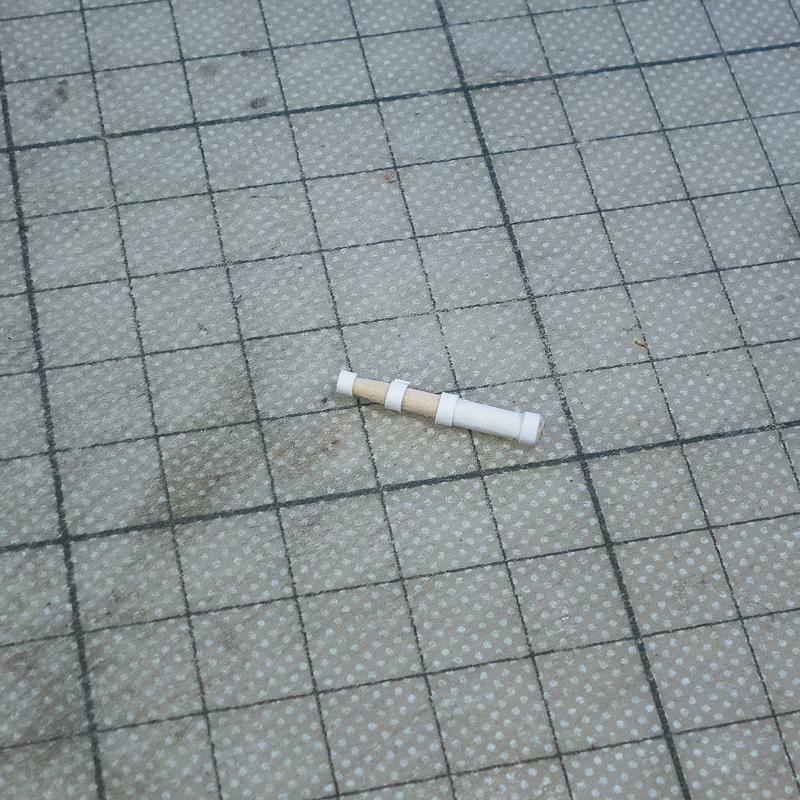 I then place the gun into a peg to let it all dry. 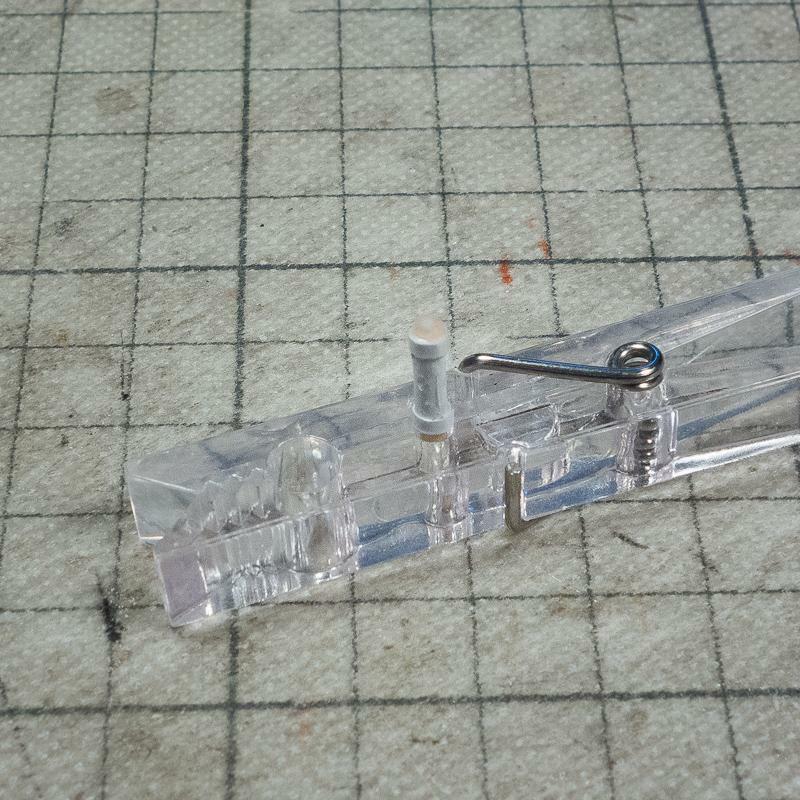 The white glue will dry transparent. If you want more round you can repeat the last step. Now I take a black marker and color the gun. 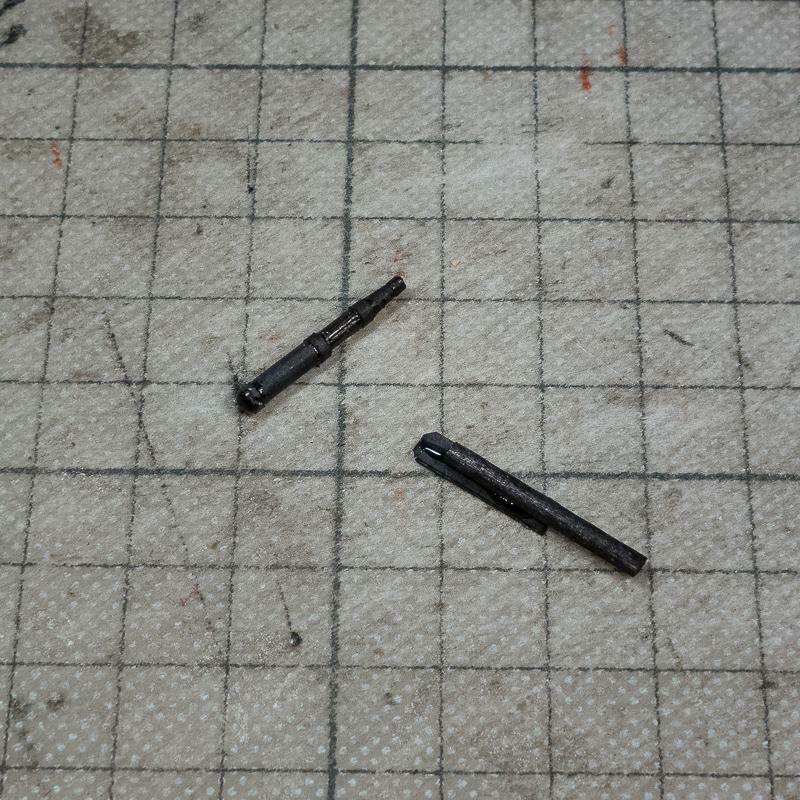 For the gun mount I cut a toothpick again, this time removing all the tapering. 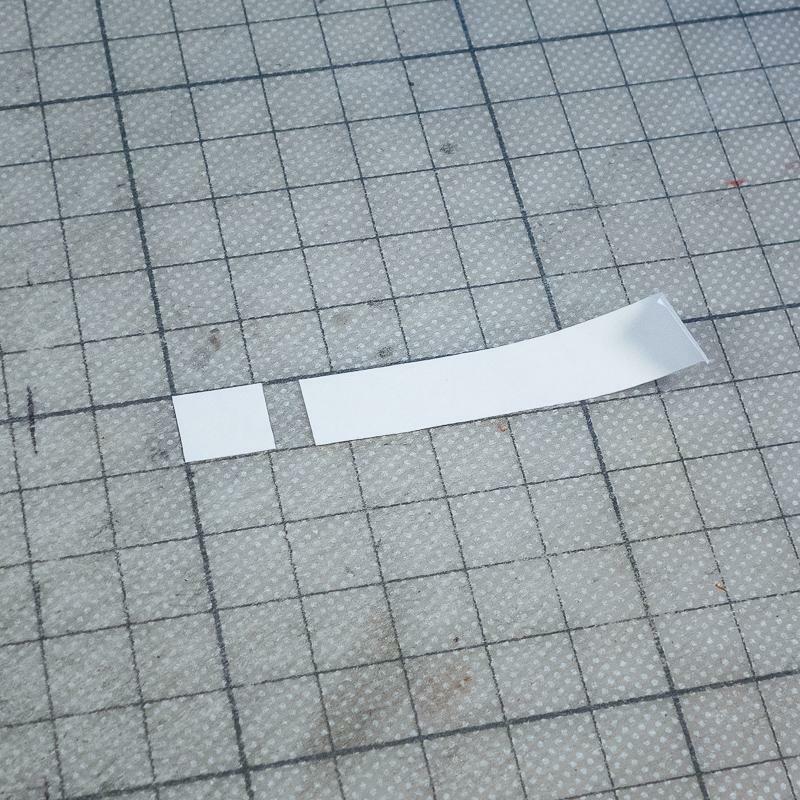 Also I cut a 3mm paper strip and prepare the sides as shown. I wanted these side parts to be thicker so I colored the edges and glued two together to form one stronger one and made two of these. I color the edges before the glue, because the glue might prevent the marker of coloring once it dried (depending on the “strength” of then marker). I also cut the top side round. Again I color all the mount parts black. 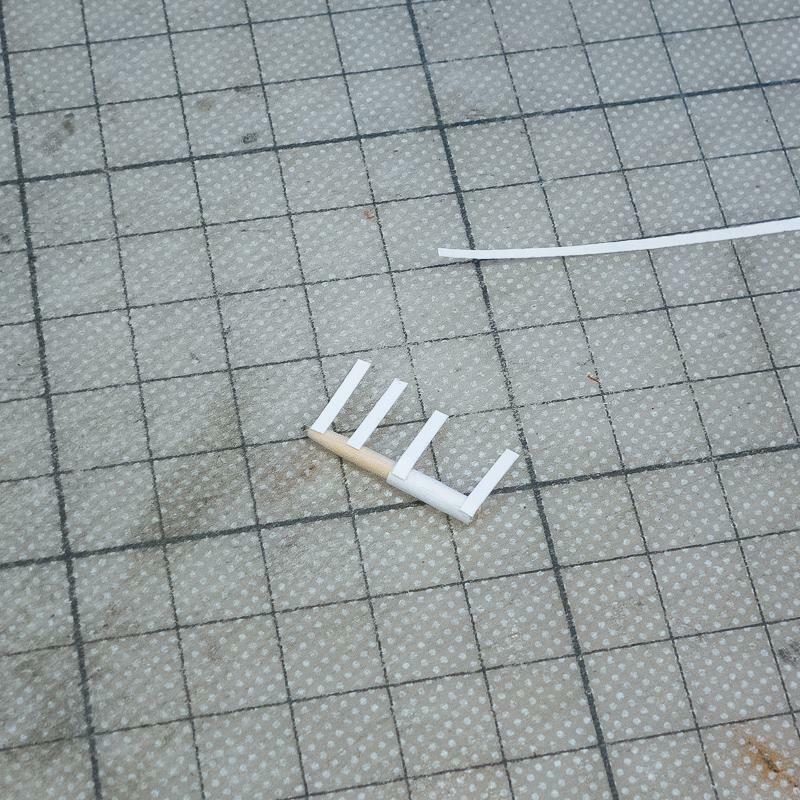 Next – to assemble the gun barrel with the mount – I glue one side part with the center mount part as shown. Let the side part top edge be above the center part. 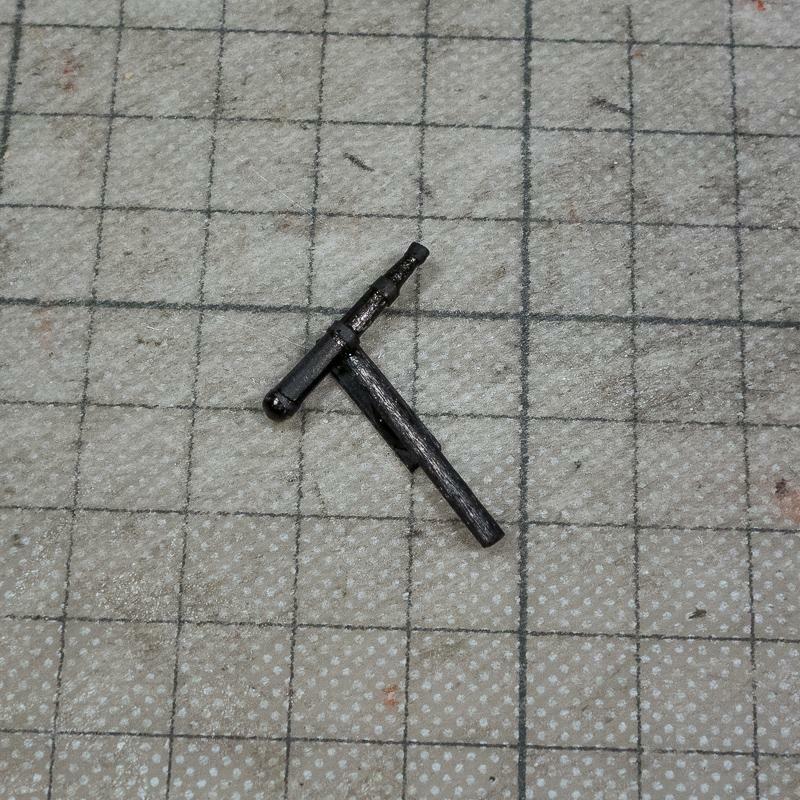 This is where the gun barrel will be inserted. 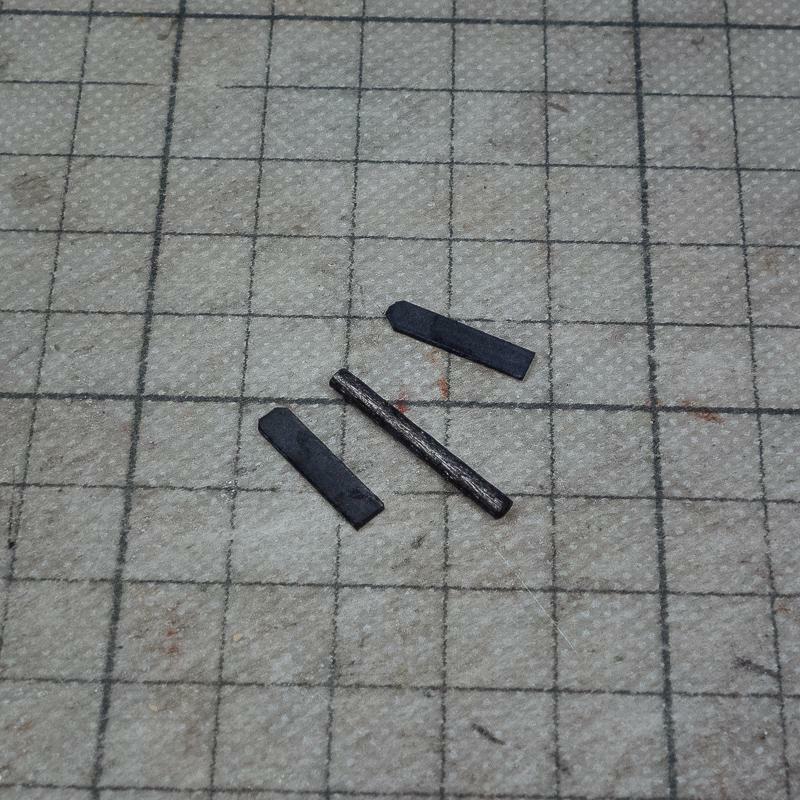 Then I glue the gun barrel into position. I put it in at an raised angle. You need to adjust this angle depending on the ships hull side angle. 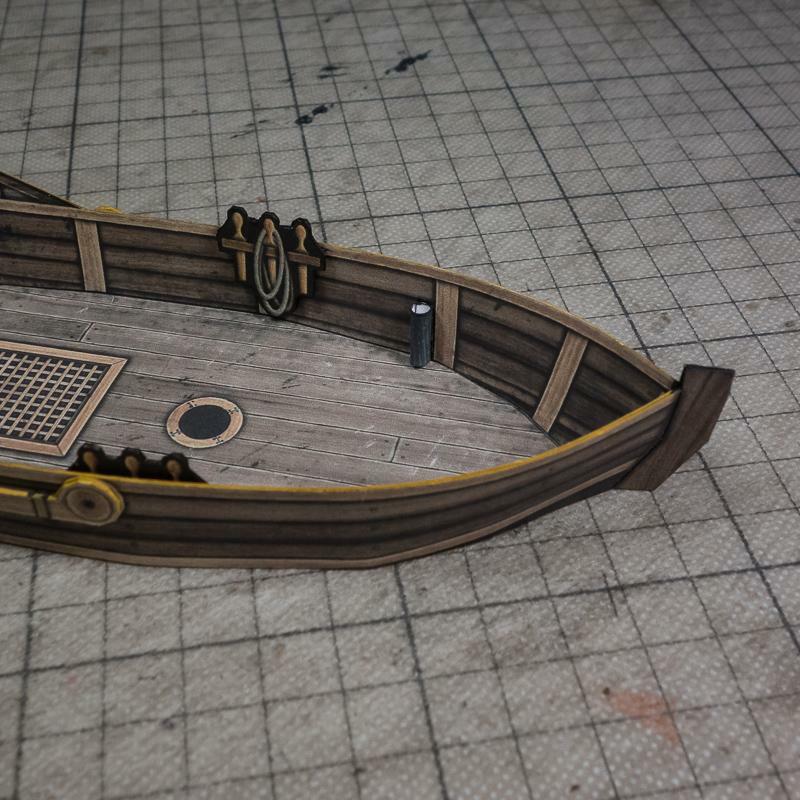 The gunboat’s side is slanted a little to the outside, so the raising of the gun barrel will make it look good once it is positioned into the ship. 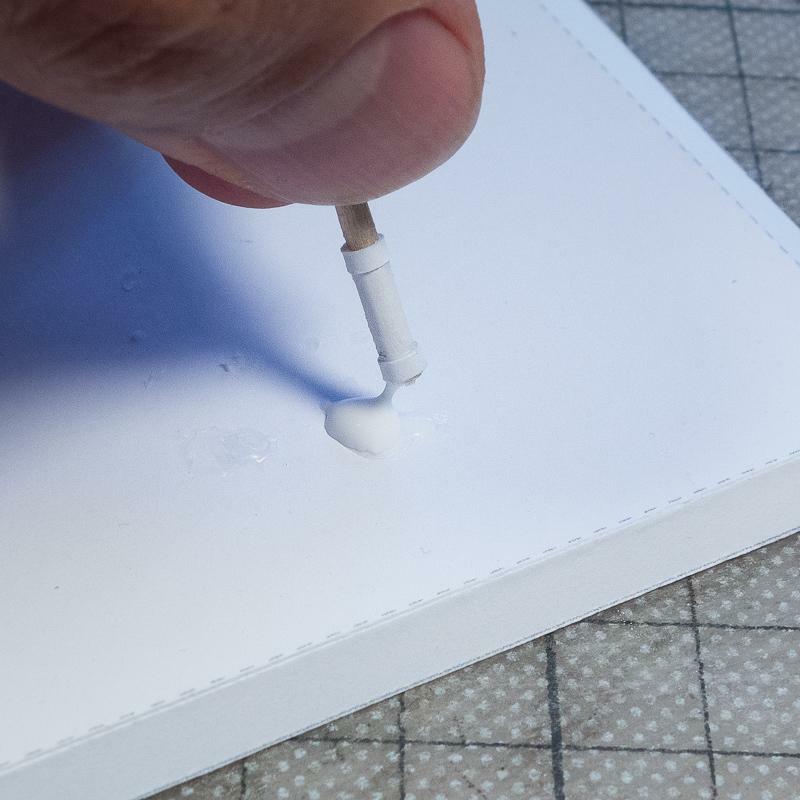 The last step is to glue the other side as shown. I have added some details by drawing them on with a black fine liner (a couple of times, so the black becomes really black on the dark grey background). 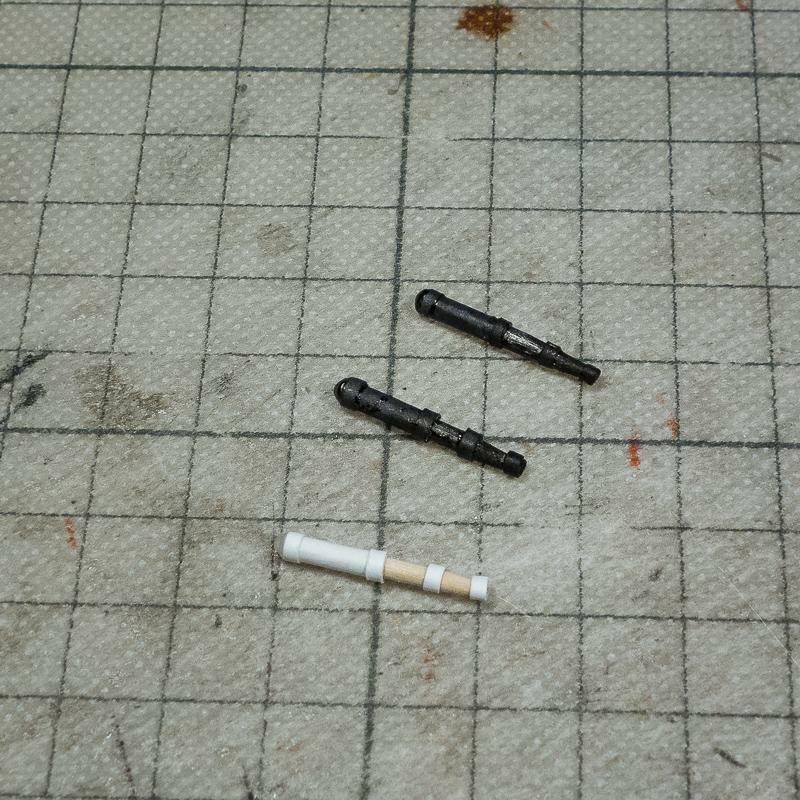 To place the guns into a boat I create some holder parts. But you can also just glue them to the ships side. 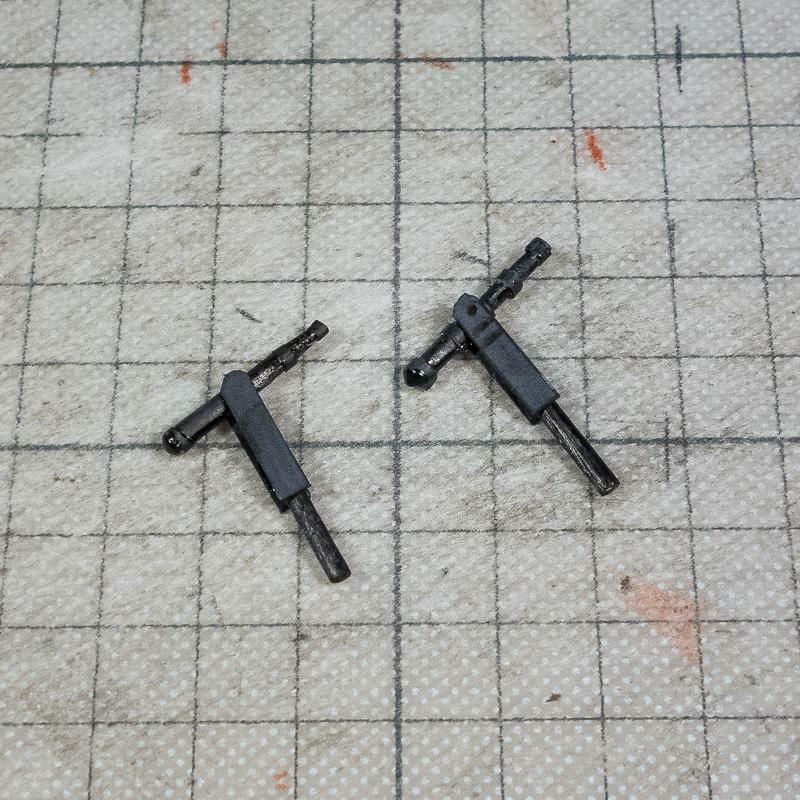 With the holder, the guns are removable and you can rotate them! 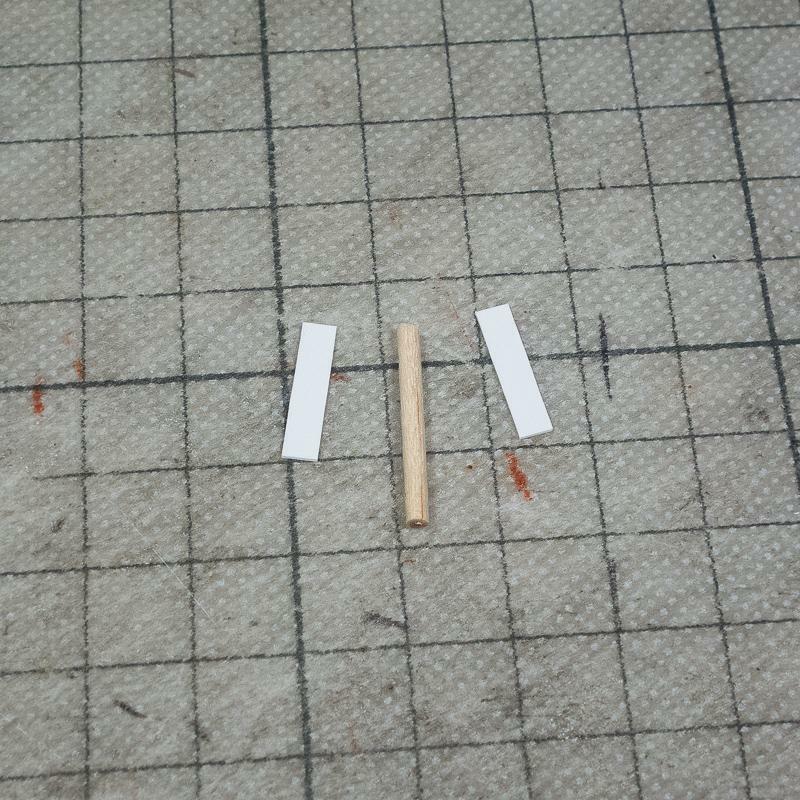 I start with cutting a 10mm strip and wrapping it around a toothpick with some overlap for glue. I then color it black with a marker. 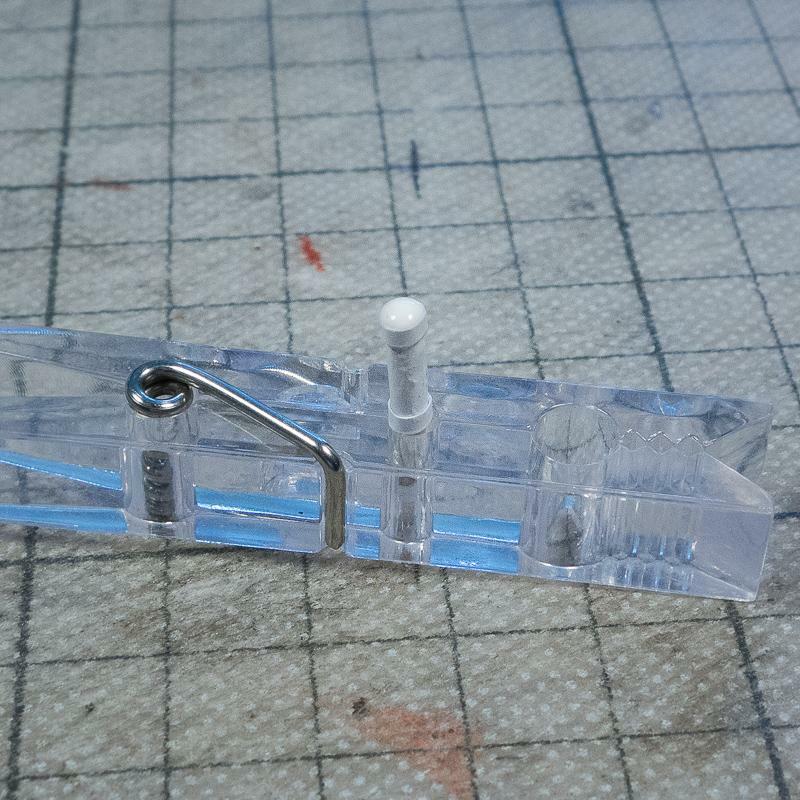 Glue the holder part as shown, leaving the overlap straight and the rest rounded. I do this step on a toothpick so I get the size right. 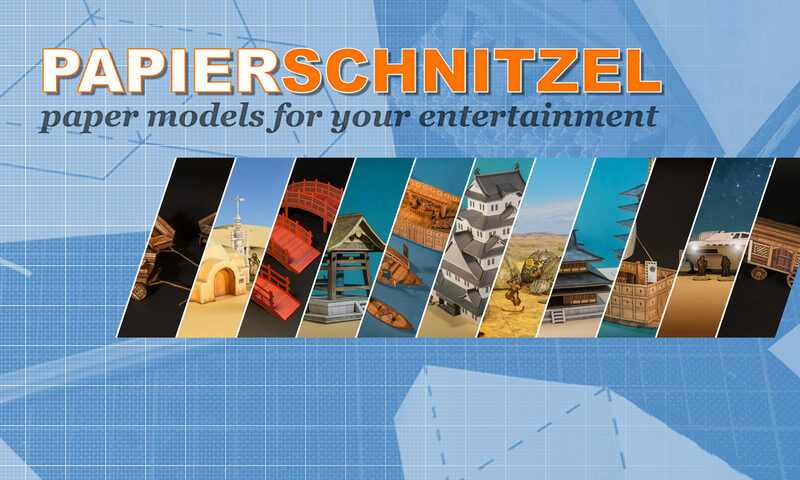 … and insert one of your scratch built swivel guns! 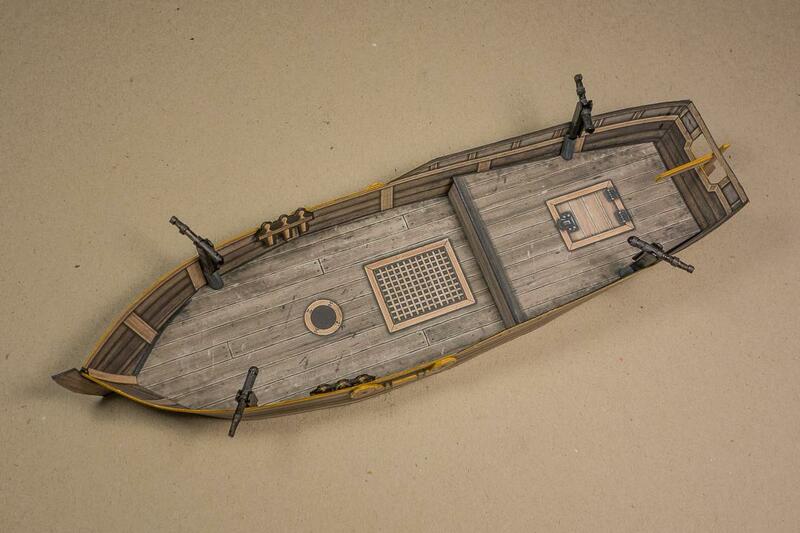 Repeat these steps for as many guns you need to build for your pirate ship or fleet!